Sarah Hiraki - Merry Krampus! 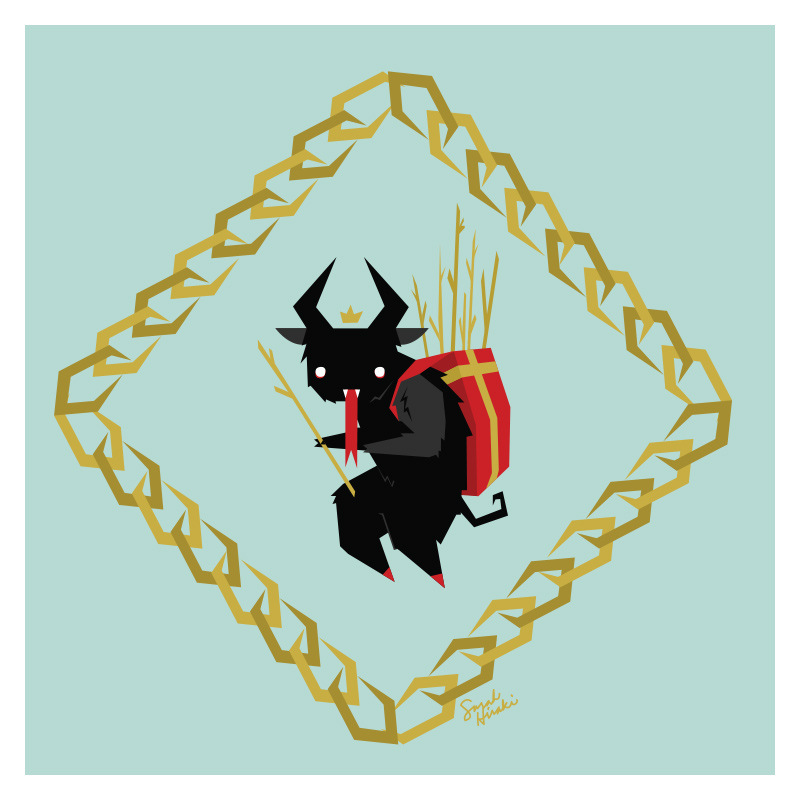 This year, I decided to send Krampuskarten instead of Christmas cards. The Krampus is a popular Christmas time character in Europe, who serves as a devilish anti-Santa Clause. In some folklore, he brandishes sticks to beat naughty children. Some traditions include painting a branch gold and displaying it in the home. 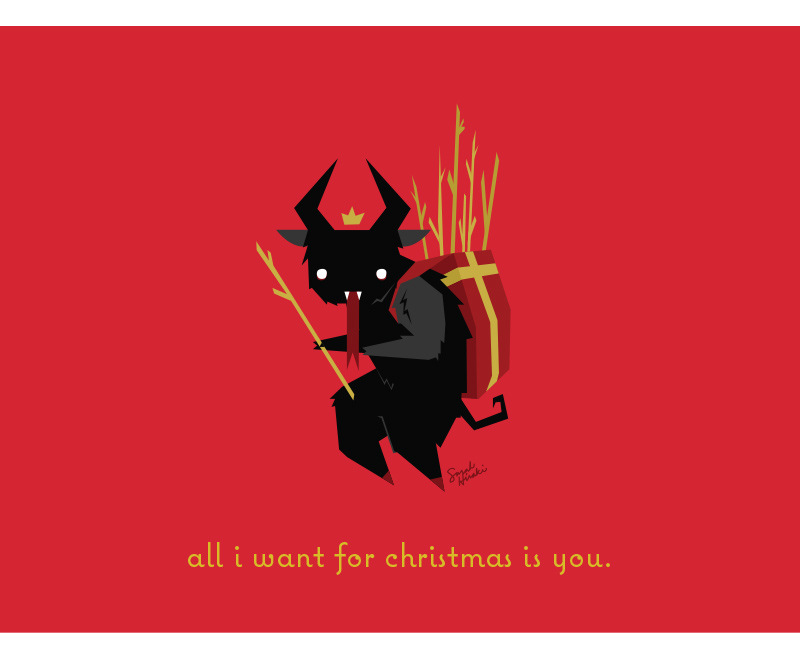 All he wants for Christmas is you.